I have to say I thought Jessica Duchen's article on Handel in the Independent, with it's comment 'Had he lived in the 1980s, his chief rival could have been Andrew Lloyd Webber', was a very silly piece of writing. I blame the Independent more than Jessica. It is common knowledge that for an article on classical music to appear in the Independent or Guardian these days it has to meet one of three criteria. It has to plug a new CD, it has to plug a live performance, or it has to put the knife into someone's reputation. I guess we have Norman Lebrecht to thank for that. I must confess that when I uploaded this post I had not read the comments attached to the Independent article. I'm sure Norman would be delighted to be credited with such all-pervasive power, Pliable! I must admit I underestimated the degree of sense of humour failure that might greet what was always going to be a deliberately provocative, tongue-in-cheek article. It was meant to goad, and to challenge a sacred cow - not to produce classical road rage. It has, however, got Handel a lot of extra attention, so I hope that is OK with you guys. Jessica, I think it was more judgement failure by the writer than sense of humour failure by the reader. As I said before, I found it a very silly piece - tongue-in-cheek or not. Hiring Max Clifford to represent Handel would also get him a lot of attention. Perhaps the Independent will be up for that as well? Just to underline the point I make in this post. Why not support your point with some sensible arguments *in favour* of Handel, Pliable? I've already told you that the article was deliberately tongue-in-cheek, but you don't seem to want to accept that. In which case, some sensible discourse would be the least you could do, don't you think? As for Max Clifford - oh, if only! Sorry, Pliable, I'm with Ms. Duchen here. Handel is simply one of those composers --Haydn being another prime example or closer to our time, Shostakovich-- whose music we're supposed to *all* acknowledge is amazing, a pipeline to God etc. The discussions of the quality of the music are ALWAYS framed as "Well, *of course*, Haydn is a great composer, DUH", and to dissent and say, like I do, that *for me* Haydn's music is utterly predictable production-line music, churned out with a mania that grates on my nerves something fierce, is to be thought of as not to be taken seriously. 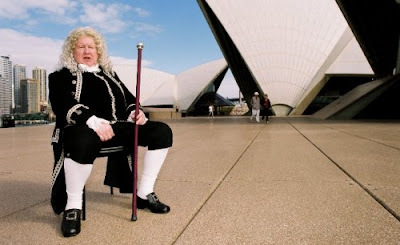 A performance of Handel's Xerxes that I was bribed to go to is by light years the most appalling, excruciating experience I've ever had in a concert hall or opera house. I was stuck --my friend had the car keys-- and I sat there, listening to that ghastly endless parade of florid arias and I wanted to scream. The modern equivalent is Shostakovich. As Boulez memorably said "It's like wine, Shostakovich is third press Mahler". I can't tell you how many times I've said something similar and you know what the response ALWAYS is? "But....but....he was persecuted by Stalin!". Never a defense of the actual music, but of the composer's circumstances. Ms. Duchen's (me too) beloved Korngold gets the opposite treatment: he's sneered at, barely taken seriously at all because of his film music connection, yet dare suggest that he was a terrific composer and eyes start rolling. Considering that I wouldn't trade every single note that Handel, Haydn and Shostakovich wrote for the last five minutes of Die Tote Stadt, I'm all for Handel being taken down a peg or three. You've give me reason to rethink my position on this since I wrote my earlier comment attached to the Elgar post. I think I construed the article as a bit of impishness and just accepted it as such, no matter how great my disagreement, precisely because I long ago ceased to expect articles of substance on the arts in newspapers, and resigning myself to that is not a good thing. I must say also that looking back on this brouhaha, to which I contributed, it was productive of absolutely nothing at all. Looking back over the comments on JDCM, all I learned from it was that a few people seem to share my affection for Handel's Dixit Dominus, and that was no great surprise. I suppose what one might say for it is that it reminded us of just what a wonder Handel was - it certainly made me reflect on that. Jessica, I have no intention of putting forward 'arguments *in favour* of Handel'. His music is more than capable of doing that. I also loathe the whole current mentality, pioneered by BBC Radio 3, of encouraging the unqualified to pass judgement on the towering giants of classical music. I now realise that it was a mistake to become involved in this debate. All it has done is confirm one important law of blogging that I stupidly overlooked. That law says that if you write about the silly you simply provide a platform for the debate to get sillier.